Treatment response in obsessive–compulsive disorder (OCD) is heterogeneous and the neurobiological underpinnings of such variability are unknown. To investigate this issue, we looked for differences in brain structures possibly associated with treatment response in children with OCD. 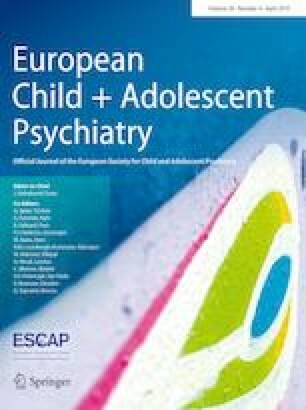 29 children with OCD (7–17 years) and 28 age-matched controls underwent structural magnetic resonance imaging. Patients then received treatment with fluoxetine or group cognitive-behavioral therapy during 14 weeks, and were classified as treatment responders or non-responders. The caudate nucleus, thalamus and orbitofrontal cortex were selected a priori, according to previous evidence of their association with OCD and its treatment. Gray matter (GM) volume comparisons between responders, non-responders and controls were performed, controlling for total GM volume. 17 patients were classified as responders. Differences among responders, non-responders and controls were found in both caudate nuclei (both p-values = 0.041), but after Bonferroni correction for multiple comparisons, these findings were non-significant. However, after excluding the effect of an outlier, findings were significant for the right caudate (p = 0.004). Pairwise comparisons showed larger caudate GM volume in responders versus non-responders and controls, bilaterally. The right caudate accounted for 20.2% of the variance in Y-BOCS changes after treatment in a linear regression model, with a positive correlation (p = 0.016). We present a possible neural substrate for treatment response in pediatric OCD, which is in line with previous evidence regarding the caudate nucleus. Considering the limitations, further research is needed to replicate this finding and elucidate the heterogeneity of treatment response in children with OCD (National Clinical Trials Registration Number: NCT01148316). Supported by the National Institute of Developmental Psychiatry for Children and Adolescents, the São Paulo Research Foundation (FAPESP Grants n# 2009/09949-8; 2013/08531-5; 2014/50917-0) and the Brazilian National Council for Scientific and Technological Development (CNPq—465550/2014-2). Dr. João R. Sato was supported by FAPESP grants n# 2018/04654-9 and 2018/21934-5. The dataset of this study was used in the following studies for other purposes and objectives, with consent of all authors: Fatori et al. and Batistuzzo et al. .
All authors report no potential conflicts of interest. Dr. Vattimo confirms he had full access to all the data in the study, and takes responsibility for the integrity of the data and the accuracy of the data analysis.